Zaha Hadid -Book all projects Miss Zaha Hadid- Archi-new - Free Dwg file Blocks Cad autocad architecture. Archi-new 3D Dwg - Free Dwg file Blocks Cad autocad architecture. (Arabic: زها حديد), born October 31, 1950 in Baghdad, Iraq, is an Iraqi-British architect figure of the deconstructivist movement. A monograph of his work was published in 20091. 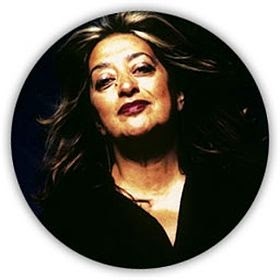 Zaha Hadid studied mathematics at the American University of Beirut and architecture at the Architectural Association School of Architecture in London. After graduation, she worked at the Office for Metropolitan Architecture (OMA) with Rem Koolhaas before creating his own agency in London in 1980. During the 1980s, she also teaches at the Architectural Association School of Architecture and in the most prestigious international institutions. With Koolhaas, she meets Peter Rice who supports at a time when his works seem difficult to build. She gets a job at Kenzo Tange Chair at the Graduate School of Design, Harvard University, the Sullivan Chair at the University of Illinois at Chicago School of Architecture. It was, moreover, an associate professor at the Hochschule für Künste Bildende àHambourg the Knowlton School of Architecture of the University of the State of Ohio, the Masters Studio at Columbia University, New York and visiting professor Eero Saarinen architectural design at Yale University in Connecticut. Is honorary member of the American Academy of Arts and Letters and the American Institute of Architects. His style is characterized by a predilection for the interlacing of taut lines and curves, sharp corners, superimposed planes, which give her creations complexity and lightness. She is the first woman to win the Pritzker Prize in 2004. In 2008, she was ranked by Forbes magazine in 69th place among the most powerful women in the world.2. Currently she is a professor at the University of Applied Arts in Vienna. In 2006, a retrospective of his work was held auGuggenheim New York. It is the second architect to received this honor after Frank Gehry. The same year, she received an honorary degree from the American University of Beirut.